Art direction and design of the 2011/12 annual report of lighting company Zumtobel. 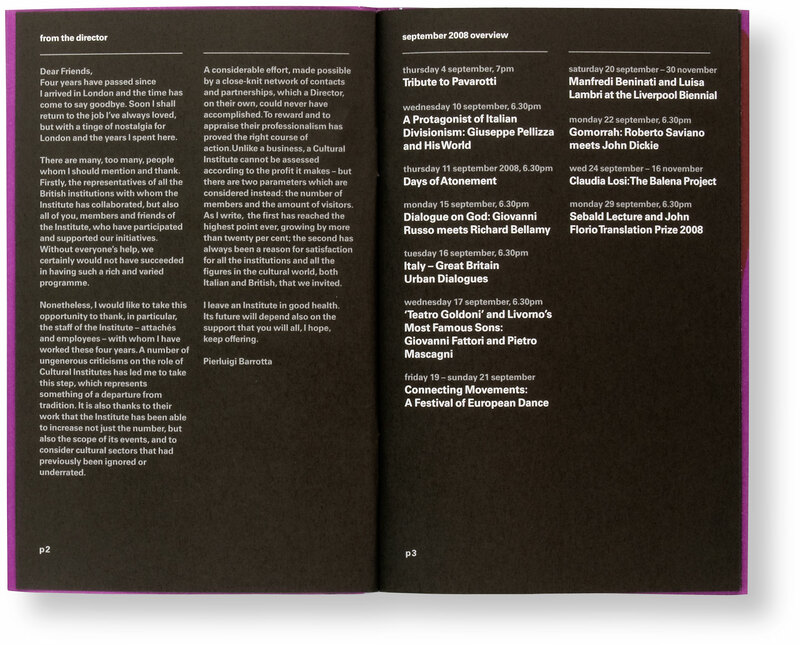 The design separated the report into two distinct volumes: a purely typographical, black and white book with the annual facts and figures typeset entirely in 8pt Courier, alongside a ‘silent’ publication of pure colour, a translation into print of the 1998 video work ‘Wounds and Absent Objects’ by Anish Kapoor. Reviewed at It’s Nice That, the Creative Review blog and Co.Design, the report was selected for the Designs of the Year 2013 awards at the Design Museum in London, nominated at Tokyo TDC and awarded a Gold Cube at the 92nd annual ADC Art Directors Club Global Awards in the US. Furthermore, it received a Golden Nail at the ADC für Deutschland awards and a Yellow Pencil at the D&AD Awards. Art direction, design and production of Tom Gauld’s ‘Endless Journey’ – a myriorama inspired by the works of Laurence Sterne. The pack consists of twelve picture cards that can be arranged to form 479,001,600 different landscapes. It was commissioned by The Laurence Sterne Trust with support by the Arts Council England on the occasion of the ‘Sentimental Landscapes’ exhibition at the Shandy Hall Museum in North Yorkshire. You can buy ‘Endless Journey’ here, and read more about it on It’s Nice That. Awarded with a pencil at the D&AD Awards. 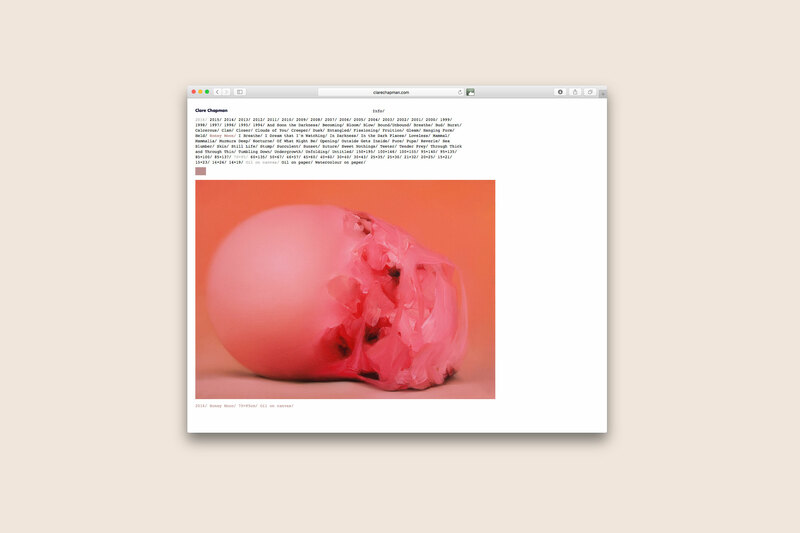 Concept, design and programming for the website of artist Anish Kapoor – live online since 2008 (Visit here). 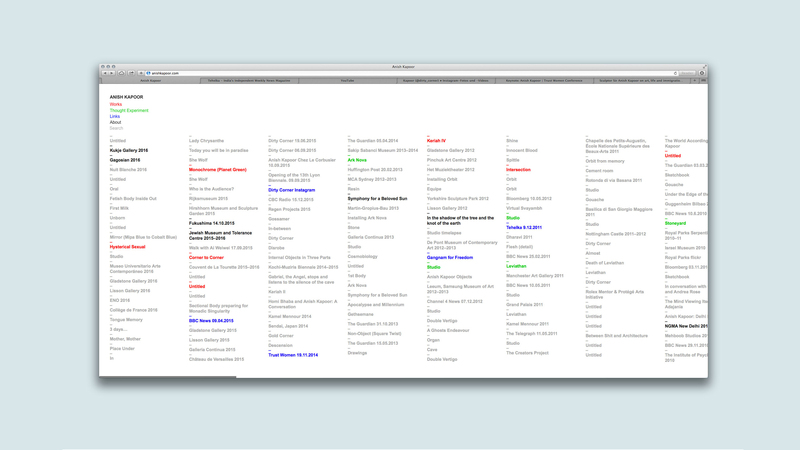 An ever growing chronological list of links to works, videos, texts, studio photographs, sketchbook drawings, or any other relevant page sourced from the web (including a Cloud Gate google for the much photographed sculpture in Chicago), the site has been kept simple yet is extremely dense: a site you can really get lost in. Since 2003 we have been asked nine times by the Bundesfinanzministerium (Referat Postwertzeichen) to invited stamp competitions. So far we got one 3rd place (for the stamp we designed for the ‘100th birthday of politician Annemarie Renger’ in 2018 and a 2nd place for the stamp we designed for the ‘Biathlon World Championships in Ruhpolding’ in 2012. In January 2019 our first stamp who won 1st place will be published on the topic of ‘100 Years Frauenwahlrecht’ (Women’s suffrage) – please see below. Other stamp design proposals we did were on the topic of ‘500 Years of German purity law for beer’, ‘First official postal flight in Germany’ and ‘100 Years of Volkshochschule (adult evening classes). The stamp and the first day cover stamps for 100 Jahre Frauenwahlrecht. The historical image, in conjunction with the typography, reflects the struggle for equality of women at the end of the 18th and beginning of the 19th century (until today). An example of this struggle is Marie Juchacz, the first speaker in front of a German parliament, after women’s suffrage was won. The photo shows her in 1919 during a speech in front of a crowd in Berlin. The typographical treatment serves also as a reference and hommage to the contemporary American (feminist) artist Barbara Kruger, and to Aleksander Rodchenko, the Russian artist, sculptor, photographer and graphic designer who played a vital role during the Russian October Revolution in 1917 which had a great influence on the German November Revolution in 1918, which finally brought the women right to vote to Germany. The book we authored, edited and designed was published in February 2013 by Laurence King Publishing in London. It looks at the process a designer goes through in finding their ‘voice’. We asked fifty graphic designers to give us the low-down about their student days and their professional lives. A piece of their college work is shown alongside an example of current work. Each designer also offers a key piece of advice and a warning. Topics addressed include how ideas are researched and developed; design and other cultural influences, then and now; positive and negative aspects of working as a designer; motivations for becoming a designer; and whether it's really possible to teach design. Awarded a Bronze Nail at the ADC (Art Directors Club) für Deutschland and a Certificate of Typographic Excellence at the TDC (Type Directors Club) in New York. Reviews on eye Magazine, Brain Pickings, It’s Nice That, Fast Company Design and other places. Order online at Laurence King, amazon.co.uk, amazon.com, amazon.de. In 2014 a Korean edition of the book was published by ag books and in 2016 a Chinese edition was published by HuaZhong University of Science & Technology Press. Contributions From Andreas Gnass (U9 Visuelle Allianz), Andrew Stevens (Graphic Thought Facility), Annelys De Vet, António S. Gomes (Barbara Says...), Ben Branagan, Bernd Hilpert (Unit-Design), Brian Webb, Christian Heusser (Equipo), Daniel Eatock, Danijela Djokic (Projekttriangle), Emmi Salonen (Studio Emmi), Éric & Marie Gaspar (Éricandmarie), Fons Hickmann (Fons Hickmann M23), Hans Dieter Reichert (Hdr Visual Coomunication), Holger Jacobs (Mind Design), Hoon Kim (Why Not Smile), Hyoun Youl Joe (Hey Joe), Isabelle Swiderski (Seven25), James Goggin (Museum Of Contemporary Art, Chicago), Jan Wilker (Karlssonwilker), Julie Gayard (Jutojo), Kai Von Rabenau (Mono.Graphie), Ken Garland, Kirsty Carter (A Practice For Everyday Life), Kristine Matthews (Studio Matthews), Lars Harmsen (Magma Brand Design), Laurent Lacour (Hauser Lacour), Liza Enebis (Studio Dumbar), Lucinda Newton-Dunn (Space-To-Think), Maki Suzuki (Åbäke), Marc Van Der Heijde (Studio Dumbar), Margaret Calvert, Marion Fink, Martin Lorenz (Twopoints.Net), Matthias Görlich (Studio Matthias Görlich), Michael Georgiou (G Design Studio), Nikki Gonnissen (Thonik), Oliver Klimpel (Büro International), Paul Barnes, Prem Krishnamurthy (Projects Projects), Renata Graw (Plural), Richard Walker (Kk Outlet/Kesselskramer), Sandra Hoffmann Robbiani (Visual Studies) , Sascha Lobe (L2m3), Stefan Sagmeister (Sagmeister Inc.), Sven Voelker (Sven Voelker Studio), Tim Balaam (Hyperkit), Urs Lehni (Lehni-Trüb, Rollo Press), Yasmin Khan (Counterspace), Yves Fidalgo (Fulguro). Logo for an organisation that promotes architectural events (talks, exhibitions, walks) in the city of Münster, Germany. The shape combines the three dimensional nature of architecture and the ‘show off’ aspects of marketing. Our design for the post-Brexit passport competition by Dezeen Design Blog has been shortlisted along with 8 others among a total of 200 entries from 34 different countries. The jury included Deyan Sudjic, director of the Design Museum and Margaret Calvert. The designs have been in an exhibition at the Design Museum from June 14th to July 5th 2017. Before that they featured in an exhibition during the Clerkenwell Design Week at Arper, 11 Clerkenwell Road London EC1M 5PA from May 23–25 2017. Our passport features the name of every country in the world listed in order of their immigrant and emigrant populations, with the United Kingdom highlighted in red. The design aims to acknowledge the continuous comings and goings of people and ideas that form civilisation, and most importantly to stress that you only need a passport if you accept the existence of other countries as well. Design of a catalogue/monograph for “Alexander Girard: A Designer’s Universe”, a travelling exhibition which opened at the Vitra Design Museum in Germany in 2016. The 512-page publication is the first Girard book to extensively discuss the designer’s career and legacy, with six essays, a biography and an illustrated list of works with many previously unpublished material; a real treasure for Girard fans and researchers. Although we knew that the sheer amount of content would lend a certain gravitas to this publication, we didn’t want it to feel too dry or academic, and wanted the design to do justice to the work. 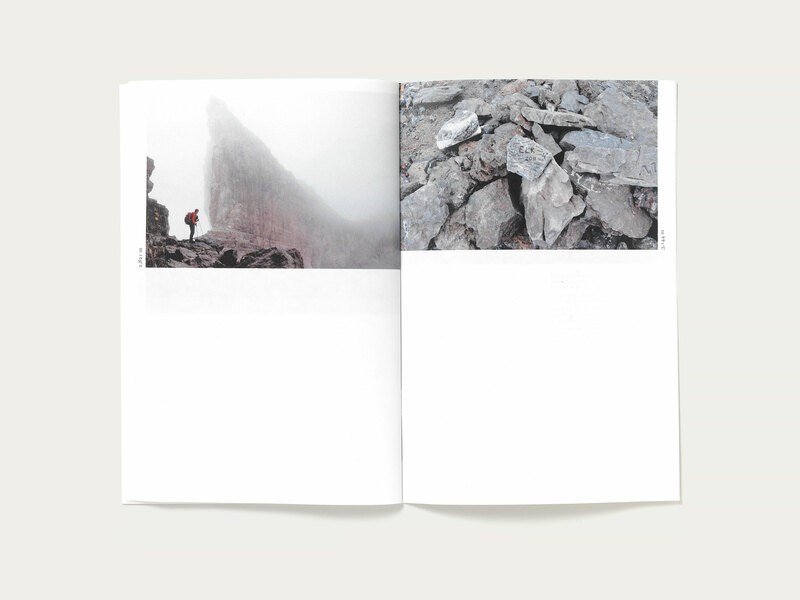 We also wanted readers to get a sense of the work and the person before starting to read, so after going through the vast archives of folk objects, textiles, works and family photographs, we created a 120-page visual essay titled ‘Connections’ which served as the introduction to the book. When you publish old material it is often viewed nostalgically as something ‘retro’ and isn’t appreciated for what it truly is. We wanted to make sure that this didn’t happen, and that our book was engaging to a contemporary audience. We brought back the faded colours in the textiles, and introduced a sense of play to the juxtaposition of the images, in a way we felt was true to the spirit of Girard’s playfulness and sense of humour. The book was published in a German and English edition. We are teaching Graphic Design since 1998. Frank has been teaching Graphic Design since 1999. First as a visiting lecturer at various colleges in the UK and Germany, amongst them Kingston University, Brighton University and Merz-Akademie Stuttgart. 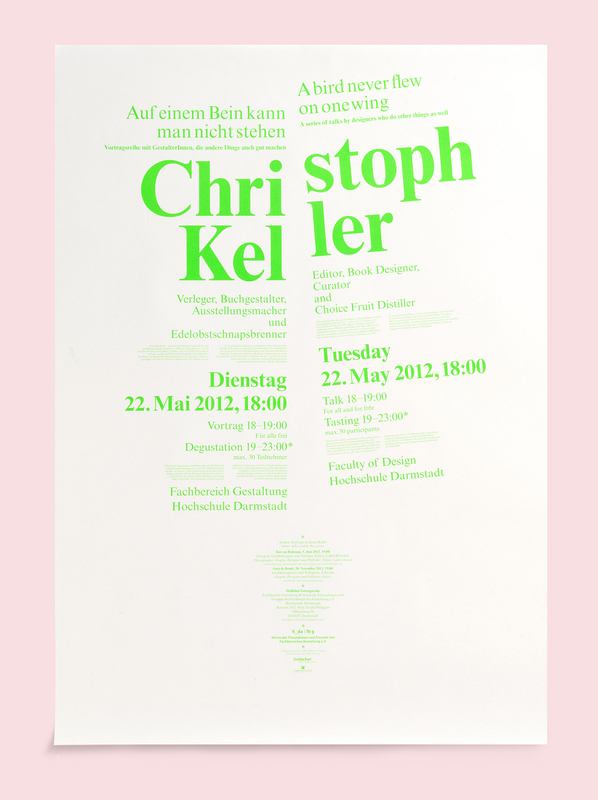 Since 2007 he is a professor at the Faculty of Design at Darmstadt University. For student projects and information click here. Billy is an associate lecturer at UAL Camberwell College of Arts (UK) since 2014. Website design for Brixton-based Charles Barclay Architects www.cbarchitects.co.uk. Avoiding the often over-complicated categorising within architect’s websites the content is instead simply separated into ‘Public’ or ‘Private’ case studies. Visitors can choose between the two, or browse both without a structure being imposed on them. Images are given prominence throughout the website, while further information and PDF case studies are visible by clicking the ‘Project Info’ button. Programming by Simon French. Art direction and design of ‘Symphony for a Beloved Sun’, published on the occasion of ‘ Kapoor in Berlin’, a major solo exhibition by artist Anish Kapoor at the Martin-Gropius-Bau in Berlin. The design anticipates the tension created by bringing contemporary artworks into the classical environment of the Martin-Gropius-Bau. The generously-sized, classical catalogue was stained with red oil paint, given a red cut to the edge, and sewn with a red thread. Maintaining the strict classical grid for all text and images meant that large-scale works stretched across two pages to get the space they needed. Bold lists of work titles served as chapter dividers within the plates section. The 272-page book contains essays by Norman Rosenthal, Horst Bredekamp and Barbara Segelken. Reviewed on It’s Nice That and the Creative Review Blog. Grand Prix winner at the Tokyo TDC Awards 2014, Silver Cube winner at the 93rd annual ADC Art Directors Club Global Awards, nominated for a Yellow Pencil at the D&AD Awards and shortlisted for the Most Beautiful Book Award in Germany. 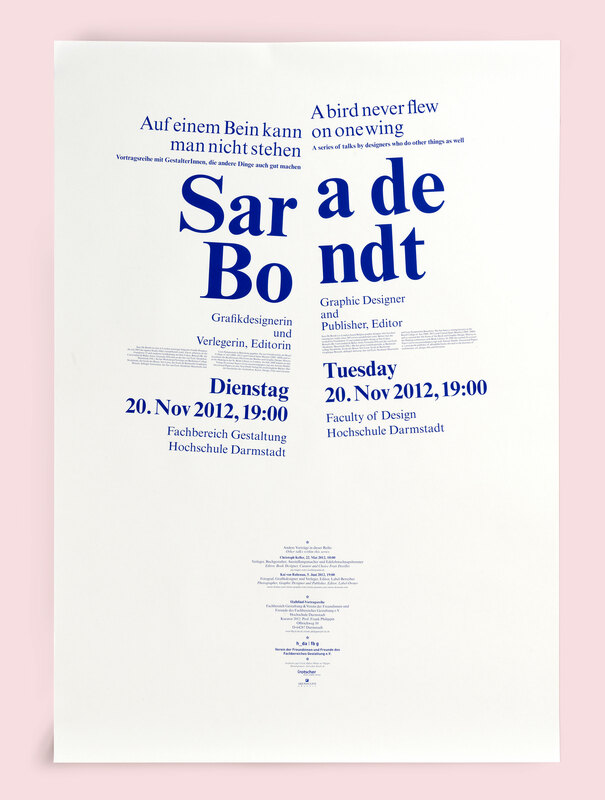 Poster design for a lecture series at the University of Darmstadt by practitioners who have more than one practice. Playing on the saying ‘A bird never flew on one wing’ the design split the announcement down the middle, also accommodating for a bi-lingual, English/German poster. Sara de Bondt (Designer/Publisher), Kai von Rabenau (Photographer/Editor) and Christoph Keller (Curator/Choice Fruit Distiller) were among the speakers. Awarded at the TDC Type Directors Club Tokyo. Website development for London-based painter Clare Chapman. The design of the website breaks down the painting caption into its component parts (title, year, size, materials) to use as navigation. Title tags reveal one or several paintings, allowing for thematically-grouped artworks to be presented together, while differently-sized JPGs introduce scale to a body of work ranging from 15 cm up to 195 cm. Programming and CMS by Chris Brown. Reviewed at It’s Nice That. www.clarechapman.com. Catalogue design for Anish Kapoor’s exhibition at the gardens of Versailles, an installation that disturbed the order and symmetry of André Le Nôtre’s vision. 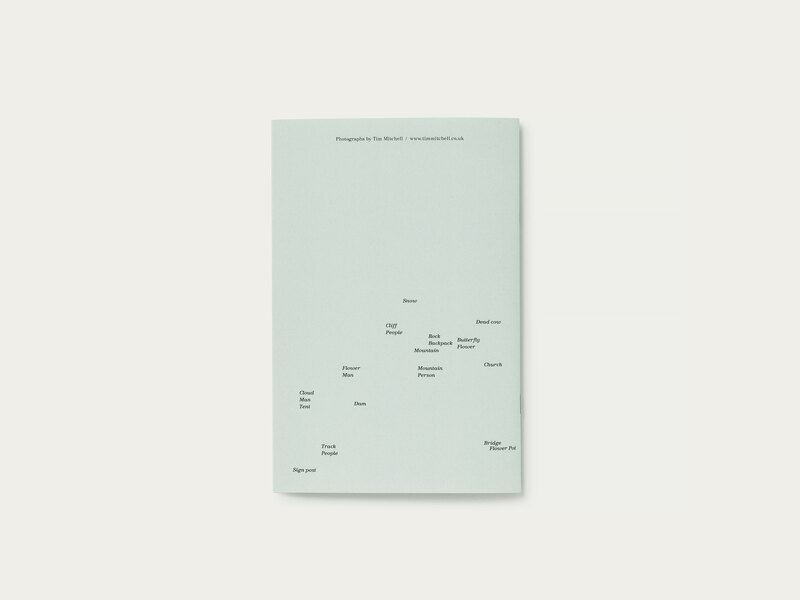 The book design played with the vast scale of the gardens and the destructive energy the works introduced, with satellite images from the artist’s camera and studio on the periphery of the layout. The reader must rip the book open, while the cover has remained untrimmed. Awarded at the TDC Type Directors Club Tokyo. Visual identity for Business to Arts, a Dublin-based organisation facilitating creative partnerships between businesses and the arts. For the logo we wanted to create a mark that was both playful and serious and could happily sit in either a corporate or artistic environment. We merged the initials ‘A’ and ‘B’ in a single ligature, a solution that was bold, simple and anticipated the ‘rough’ treatment the logo may endure in the hands of third parties. Each year, Ireland’s best collaborations between business and the arts are celebrated in an award ceremony. 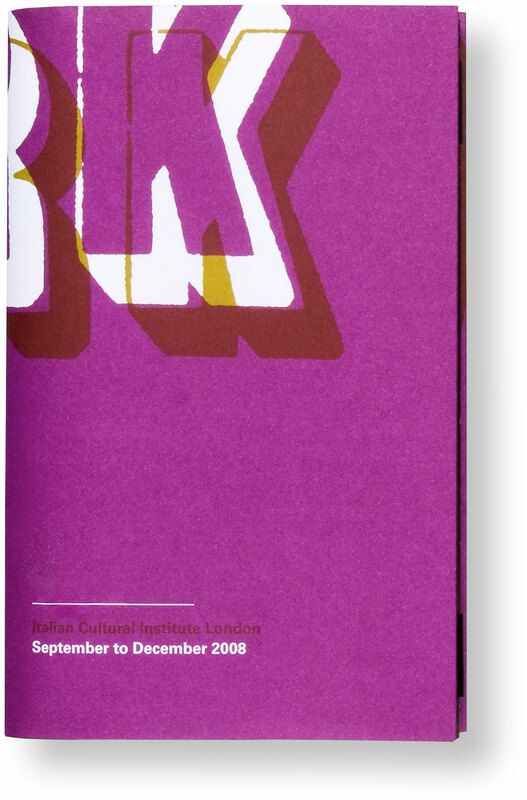 We designed the winner’s brochure for the 2008, 2009 and 2010 Allianz Business to Arts Awards as well as all the other literature for the organization. The design for Business to Arts was awarded at the TDC Type Directors Club Tokyo. Exhibition signage and everything graphic design for the exhibitions and events ‘A Mile in my Shoes’, ‘A Thousand and one Books’ and ‘Everything must go’ by the curator Clare Patey. ‘A Mile in my Shoes’ and ‘A Thousand and one Books’ were organized by the ‘Empathy Museum’. Website design of www.kbnk.de for Hamburg-based kbnk Architects. The driving idea was to give the viewer control over the way in which the site is viewed. Case studies can be sorted by type of building, chronology, height, size, cost, or even colour adding a more playful note to the navigation. All images stretch to fit the browser window to use the available space efficiently, while a click on the logo takes this idea further by dropping all navigation entirely. Illustration and design for Bell Helicopter’s CD, Blade. The illustrations play on the album’s title by using a series of helicopter blade diagrams. 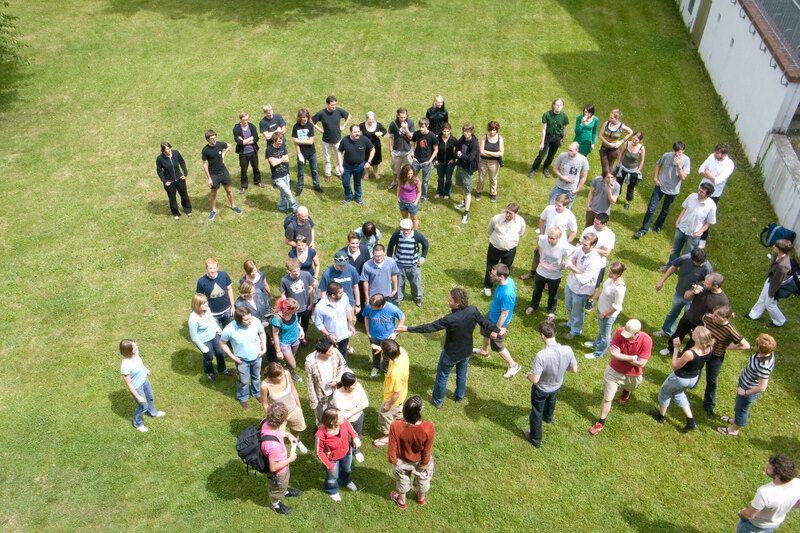 Bell Helicopter is the musical playfield of artist Conor Kelly. Design, layout and promotional material for frieze d/e, a bilingual German/English magazine by the publishers of frieze, the international contemporary art and culture magazine. 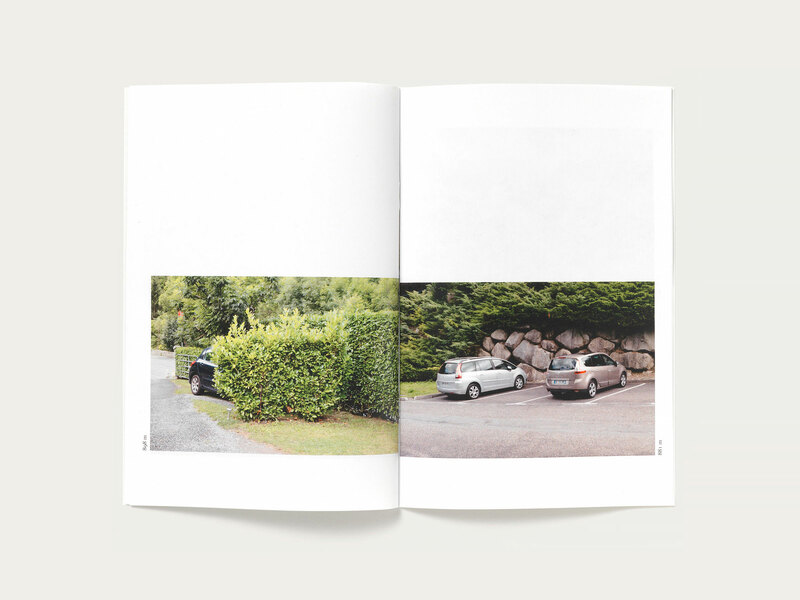 With editing and production based in Berlin, the magazine is published four times a year and offers in-depth coverage of contemporary art and culture throughout Germany, Austria and Switzerland, closely following the international artist communities in this region. Design for a book of interviews with Anish Kapoor for RMN Grandpalais, France. Using an often-quoted statement by the artist for the front cover, we designed the book as a bi-lingual (French/English) edition with two separate front covers. 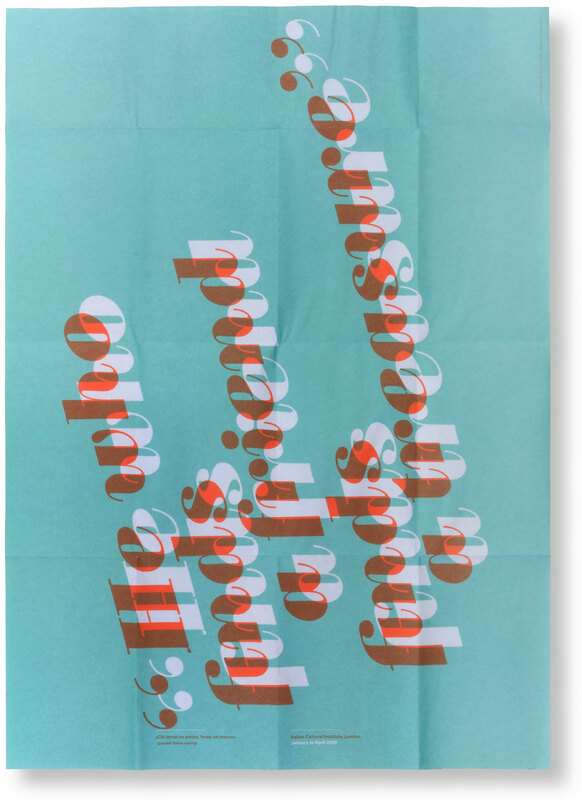 Winner at the Annual Type Director’s Club awards and exhibition 2012, and featured in Typography 33. Visual identity for one of the best and biggest second hand record stores in Germany including stationery, posters, flyer, bags and signage. Development of a visual identity, stationery and promotional literature for Chez Vous, a complete home dining experience in Athens created by French chef Tony Mordelet and hospitality professional Eirene Kollintza. Our design plays with the idea of cooking as an art that brings different ingredients together. Awarded at the TDC Type Directors Club Tokyo Awards and ΕΒΓΕ (Greek Graphic Design and Illustration) Awards. Website design for the architectural practise Anah. Anah means ‘the answer’ in Hebrew. The website is based on questions (which will be answered when clicked…). Cover design for L’Équipe magazine, the supplement to France’s largest daily newspaper devoted to sports. 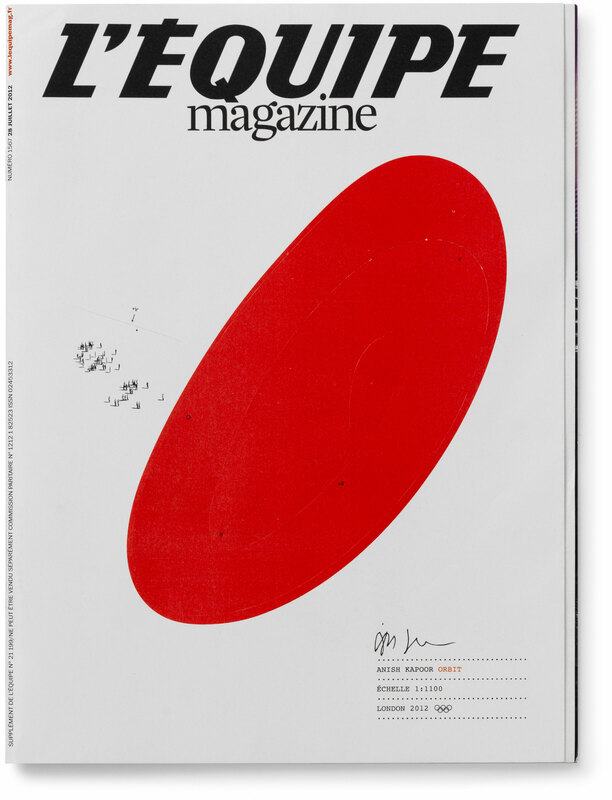 Published on July 28, 2012, the issue was dedicated to the London Olympics, and Anish Kapoor was asked to design a special artist cover for the occasion. Working in collaboration with the artist, we developed a 3-D pop-up cover of a self-standing form, a 1:1100 ratio model inspired by Orbit at the Olympic Park in London. Victor had broken his shell. So, armed with love and a steady supply of lettuce, Susie decided to nurse him back to health. —A story about caring, mending and letting-go drawn with letters and punctuation marks. 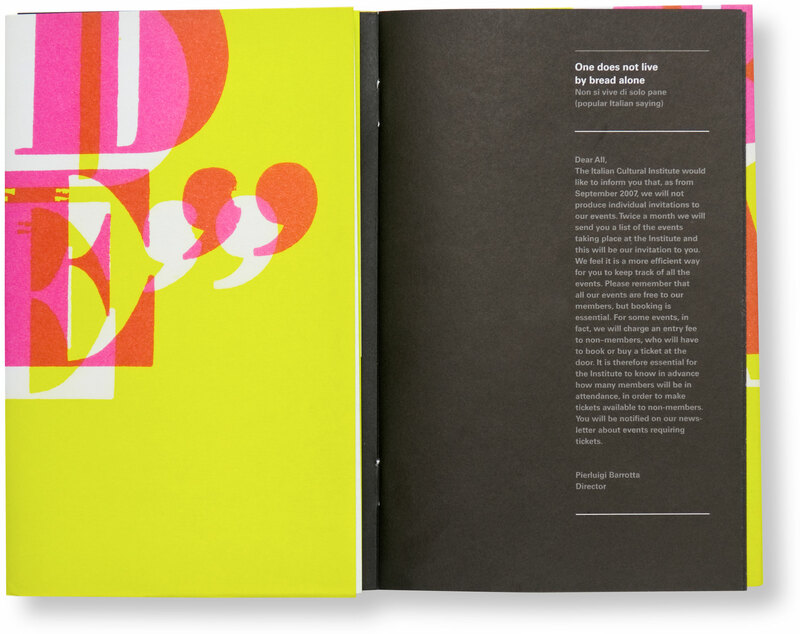 A self-publication by Brighten the Corners, awarded at the TDC Type Directors Club Tokyo awards. and reviewed in Creative Review Blog + cool hunting + Designer’s Review of Books. Featured in drawn! + Made & Sold + Selected A + Tokyo TDC Vol 20. 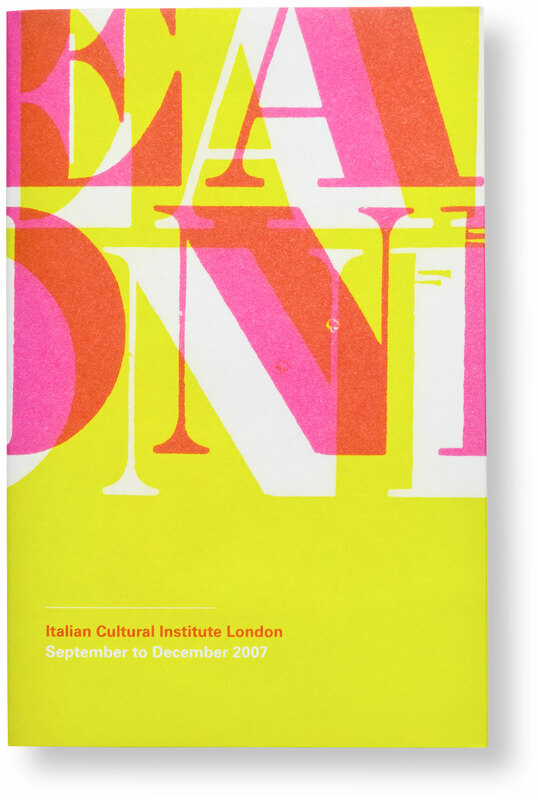 Series design for the Italian Cultural Institute’s programme of events for the duration of four years. To contrast the entirely typographic bulk of the programme, we used the introductory pages as a gallery of images by writer/photographer Dave Foster. 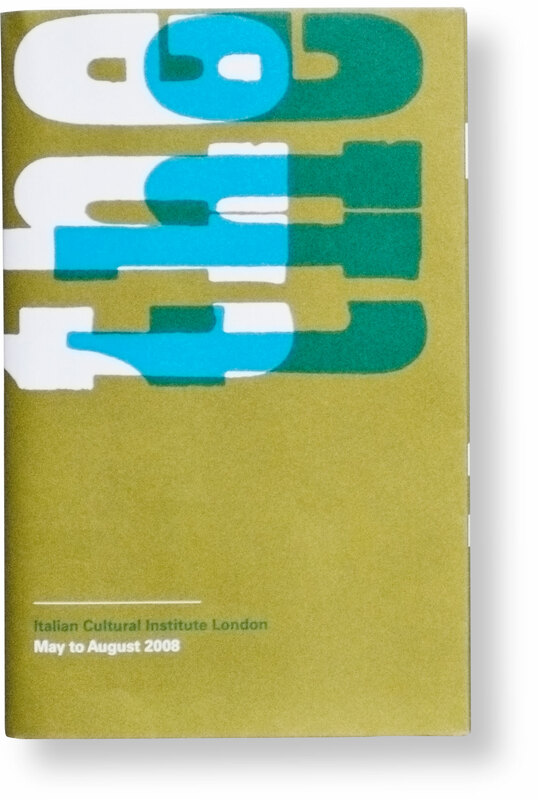 Further Italian touches include a generously sized serif typeface for the copy, Latin numerals for pagination, and an elegant pocket-sized format. Awarded at the D&AD Awards and the ADC Art Directors Club Global Awards. Featured In Materials Process Print + Art Directors Annual + D&AD Annual. Catalogue design for RMN Grandpalais of the Leviathan exhibition by Anish Kapoor for Monumenta 2011. Two hundred black and white pages of drawings, gouaches, architectural models, studio photographs, and writing lifted out of the artist’s sketchbooks, formed the bulk of the catalogue and traced the preparatory work and idea development process. The final pages of the book were used for the full colour photographs of the installed work within the Nave of the Grand Palais in Paris. In 2008, we collected the most positive, the most negative and the weirdest Emails we received from our clients during 10 years in business and created a series of three posters to celebrate our 10th anniversary with them. For 64 days, during summer 2011, a group of hikers travelled the entire length of the High Route Pyrenees, some 900km in total. Photographer Tim Mitchell joined the journey between Lescun and Gavarnie documenting moments at different altitudes. Clouds, distant walkers, a tent, a dead cow, a tiny flower, and, at the highest summit, some graffiti. 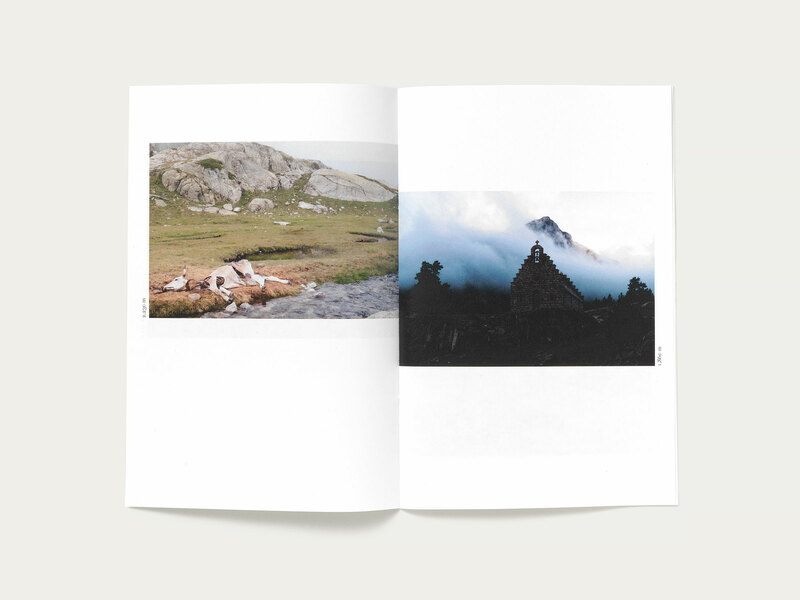 We designed the collection of resulting photographs as ‘Up and down the Pyrenees’, using the various levels of altitude as steps in the layout. Printed in an edition of 100 copies. 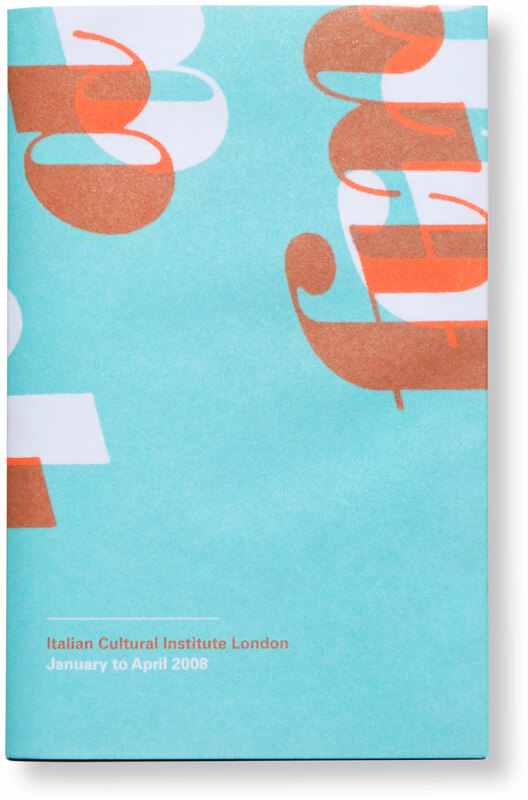 Series redesign for the Italian Cultural Institute’s programme of events. 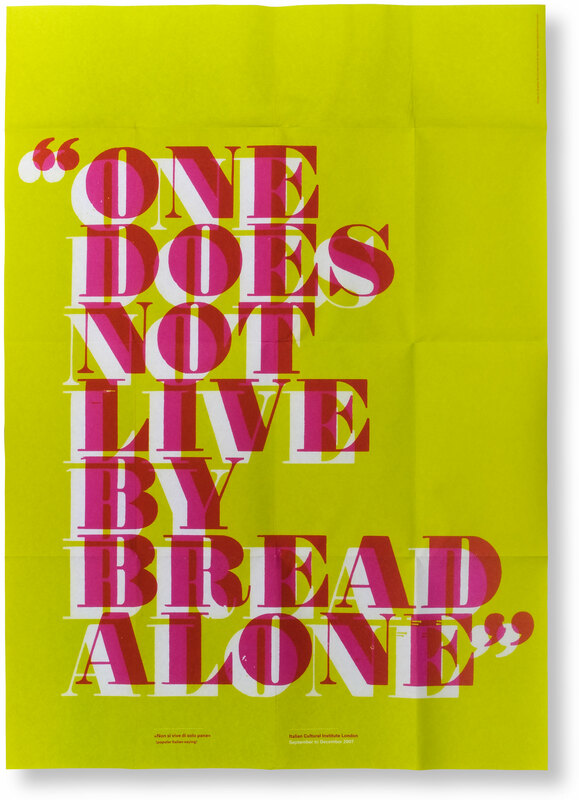 We collected popular Italian sayings and printed them in letterpress with Ian Gabb. For each issue, the director pulled a saying out of a bowl to use for the programme’s wrap-around poster/cover (see below). 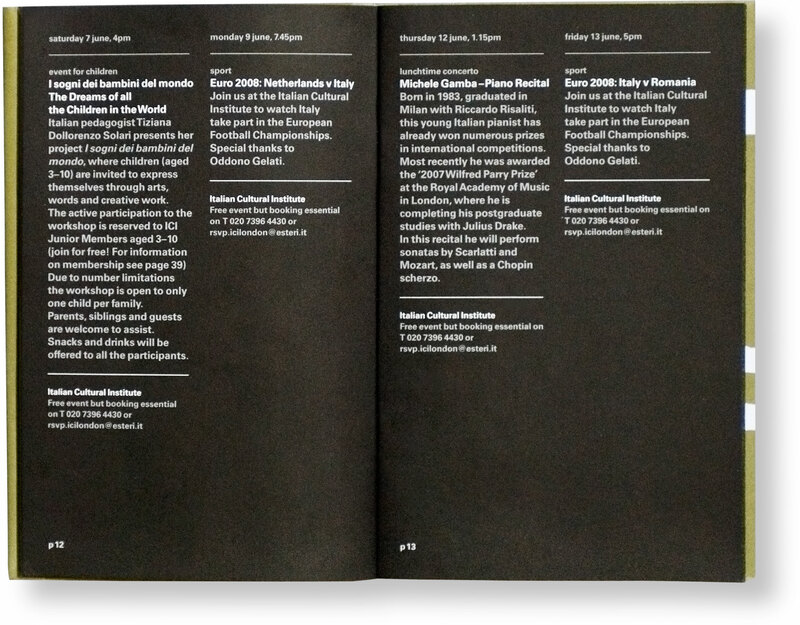 To contrast the colourful outside, we designed the content as a purely typographic black programme, complete with matching staples. The posters were featured in an article on poster design in The Times. Design of ‘Anish Kapoor: Stone’ the first comprehensive collection of the artist’s stone sculptures, dating from the 1980s to the present. 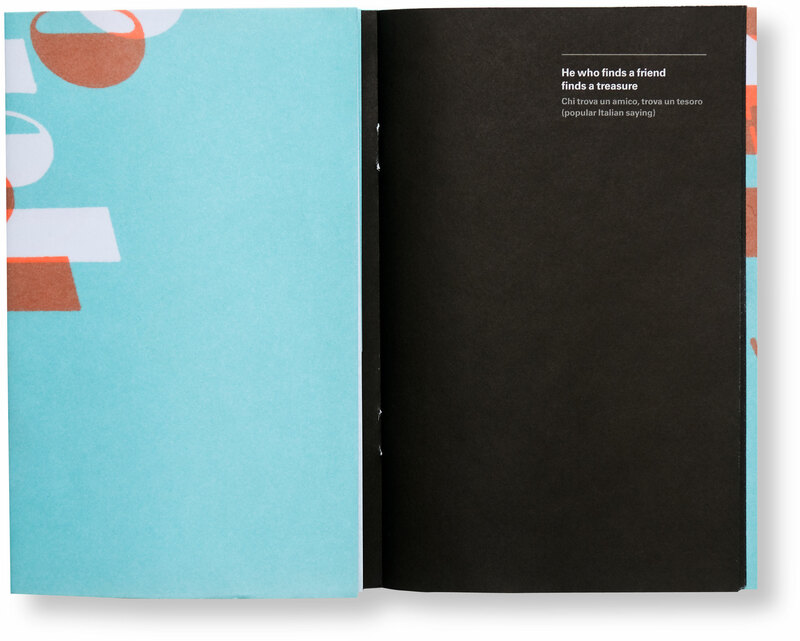 The volume was designed as a ‘naked’ 352-page book block, to be extracted from its slip case. 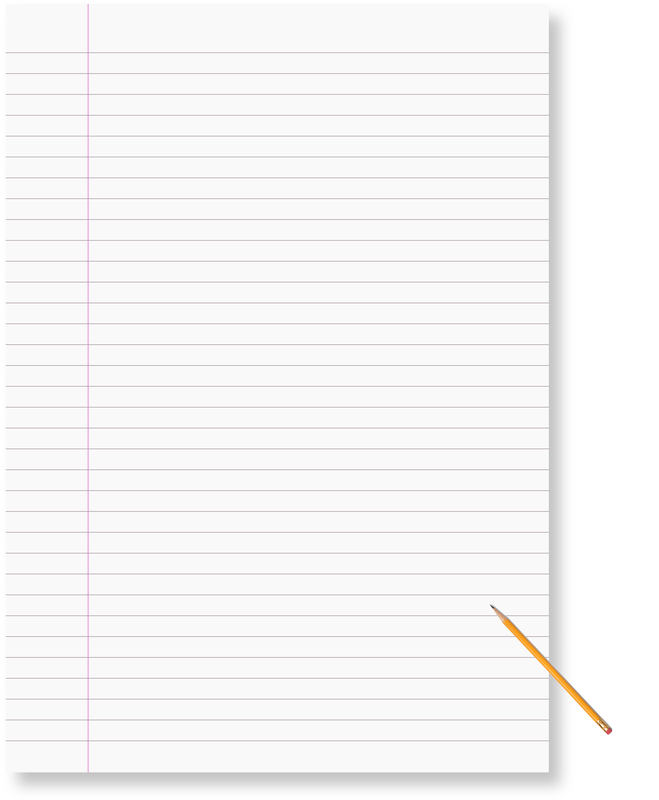 Front and back views of works are included where available, on the reverse of pages. The book was published on the occasion Anish Kapoor’s exhibition at the Sakıp Sabancı Museum in Istanbul and includes essays from Norman Rosenthal, Ahu Antmen, Halil Berktay, and an interview with Homi Bhabha and Anish Kapoor. Bronze Cube winner at the 93rd annual ADC Art Directors Club Global Awards.